Man lives for the day, What is he? Then Life is as sweet as honey. 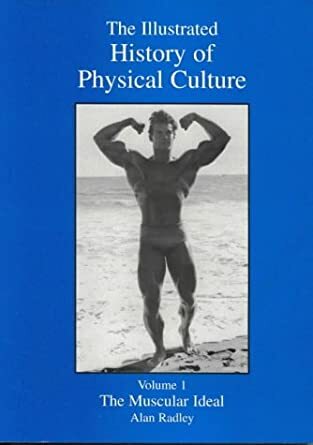 As we come to the end of this tour of Physical Culture, it is useful to look back over the history of the muscular body in a broad sense. In so doing, we get a strong sense of how in past times exercising the body for improved health, strength and beauty has been a very important part of Western culture. It is to Ancient Greece that we look for the roots of Western science, philosophy and culture. We are reminded of the Greek athletes and heroes immortalized in the classic literature and sculpture. Development of a strong and beautiful body seems to have been vitally important to the Greeks both as individuals and in a societal sense. The key idea here is that one can never separate a man's physical, moral, spiritual and intellectual parts and all should be developed for an optimum whole. The body beautiful has a much wider significance here than the attainment of merely aesthetic qualities. In this society, even the great philosophers, artists and scientists all agreed on the need to develop the capacities of the human body to its fullest potential. It was important in this scheme to develop oneself to the highest possible degree, both physically and mentally, not only to improve your own worth, but also to make yourself more useful to society. Gymnasiums were ever present in the towns of Ancient Greece, and were educational centers equally for both body and mind. They were truly the forerunners of our modern universities. To the Ancient Greeks, physical weakness, or lack of ambition in that area, was an inexcusable lapse of ambition in a human being. Not being interested in the health and strength of your own body was something that would not have been understood. 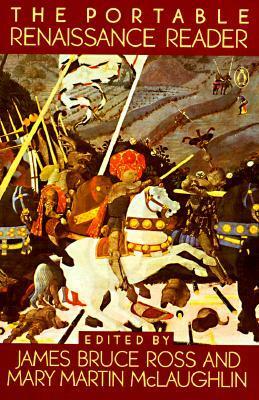 It was thought to be each and every person's sacred duty to try and maximize his Arete or overall worth. Physical prowess was a big part of this ideal. Having said this, they recognized that not everyone could achieve physical perfection, but the most common opinion of the day was that all citizens should do their best to develop the abilities of their bodies to the full. Turning to the Renaissance that took place in the 15th Century, we again see an upsurge of interest in the human body.The great Renaissance artists admired the perfect human form, and placed the muscular ideal at the zenith of everything man should, and could be. 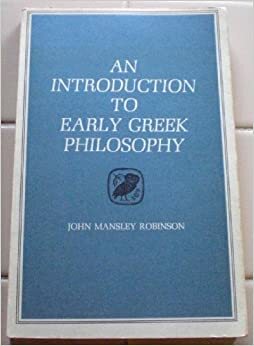 Again, as in Greece, it becomes important for young men to develop both their physical and intellectual sides. The muscular body is again a metaphor for man's ultimate possibilities in other fields of endeavor. The new philosophers and scientists in this era of rejuvenation were drawing, sculpting or painting muscular figures, or were so depicted themselves. The inescapable conclusion of the time was that man, as represented by the idealized muscular man, was created to achieve his potential both mentally and physically. Towards this aim he should strive for knowledge of himself, the natural world, and his place in it. The result of linking the physical development of man with his wider philosophic and scientific abilities was a linking of these for ordinary individuals as well. As a result, it became quite common for the educated young men of Europe to engage in gymnastic training. Towards the end of the 18th Century, we again see a revival in Physical Culture throughout Europe. In the first half of the 19th Century, Physical Culture burgeoned, largely in the form of gymnastics. However, in the second half of the 19th Century, a variety of sporting activities became popular right across Europe and America. Many different sports were now practiced for the first time, including athletics, swimming, and ball sports of various kinds. In addition, bodybuilding exercises with barbells, dumbbells and other pieces of training equipment were engaged in as early as the end of the 18th Century. By the 1870's, interest in strengthening the body through sports and exercise had become a national mania in England. A large number of gymnasiums were opened up over the next 30 years across Europe, and many hundreds of smaller clubs and dens existed across England. As the 20th Century dawned, it must have seemed as if everyone was engaged in physical jerks and exercises. Writers in the press, in addition to popular writers like H.G. Wells and Thomas Carlyle all praised and idealized the heroic muscular ideal. The industrial revolution and scientific progress were at the same time marching onwards at a seemingly unstoppable pace. To men like Wells, man's future seemed bright, and his Utopian ideal envisaged a new healthier race of Physical Culturists who banished ill health and physical weakness to the dark and dismal past. To us, these ideas seem incredibly optimistic and even naive, but the overwhelming idea of the day was that mankind was destined, through medical advances, scientific discoveries, and especially Physical Culture, to a healthier future. Many diseases were in fact banished to the past by science, but unfortunately, poverty and the upcoming world war were to crush the views of the optimists such as Wells. Prior to the first world war, men like Apollon, Cyr and Sandow paraded their muscles on the Vaudeville stage and sold their muscle courses in the tens of thousands. Sandow in fact was one of the most famous men of his time, truly an ambassador for sport, who met and counted as friends much of the aristocracy and intelligentsia of Europe. He appeared in some of Thomas Edison's earliest motion films, and was famous right across the British Empire and the New World. What amazed people about Sandow was his physical appearance, complete with muscles that looked like they were hewn our of marble. Sandow's photographic image was everywhere, in magazines and periodicals of all kinds, in addition to being commonly sold in picture postcards. Sandow's image transcended the man himself, and his nearly naked body must have seemed at the time both futuristic and very much in keeping with the classical Greek ideal. His muscularity was truly the sensation of the age. Never before had anyone seen a body like his, and it is not hyperbole to say that at the turn of the century Eugen Sandow was at the very center of the Physical Culture revolution. In fact he went a long way to causing the boom in popularity of the body beautiful on both sides of the Atlantic. - Written with humour and insight into the popular culture of late Victorian England, Waller's book argues that Sandow deserves to be resurrected as a significant cultural figure whose life, like that of Oscar Wilde, tells us a great deal about sexuality and celebrity at the Fin de siècle . By 1910, however, interest in Physical Culture was starting to wane with the general public in Great Britain, and in its purest form it is a sad fact that it would never again see a return to the heights of popularity at that time. The 1914-18 war saw most men in Britain go abroad to fight, and the country largely forgot about the peaceable functions of Physical Culture during these dismal years. However, within a couple of years of the end of hostilities, those men lucky enough to come home were returning to re-opened Gymnasia throughout England.